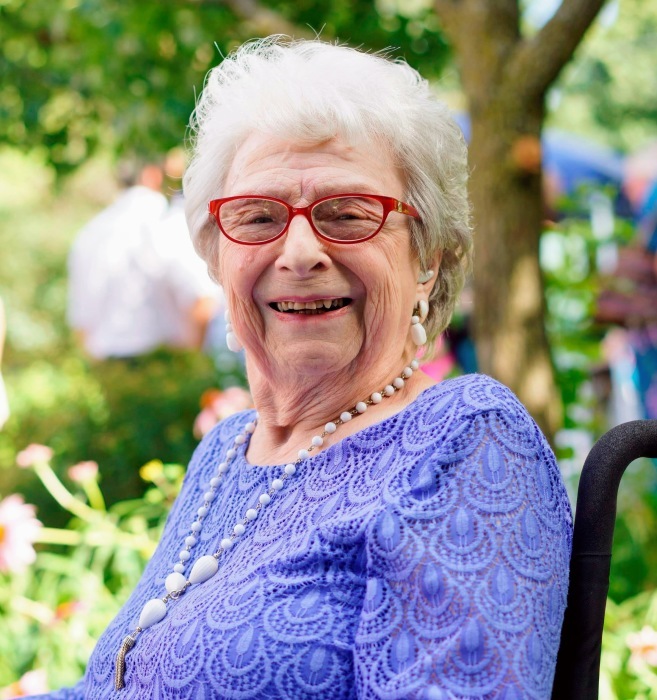 Joan Harding (nee Steadman) died peacefully at the age of 92 with her children by her side on Sunday, July 29th 2018, at Grey Bruce Health Services, Owen Sound. Beloved wife of the late W. Alvin Harding (1977). Dear mother of Gerald, Ralph and his wife Renée, and Mary and her husband Jock. Proud Grandmother of Jenise, Zachary, Luiggi (Tara), Jose (Diane), Ludanis and Angela. Great Grandmother of eight. Fondly remembered by sisters-in-law Marie Steadman and Ruth Millson and her husband Glen, as well as nieces and nephews and their families. Predeceased by grandson Carlos, her brothers Paul and Lyle Steadman, and by her sisters-in-law Marilyn and Jean Steadman. Friends will be received on Wednesday, August 1st 2018 from 7-9pm at the Breckenridge-Ashcroft Funeral Home, 241 9th Street West, Owen Sound, 519-376-2326. A funeral service will be held on Thursday, August 2nd 2018 at 1:00pm at Central Westside United Church, 310 10th Street West, Owen Sound. Visitation will also be held at Steadman Brother's Funeral Chapel, 3040 Brigden Road, Brigden, Ontario on Friday, August 3rd, 2018 at 1pm. Internment at Hillsdale Cemetery in Petrolia, Ontario at 2pm with reception to follow at the Brigden United Church, 2420 Jane Street. Memorial donations to the United Church of Canada Mission and Service Fund, the Grey County Kiwanis Music Festival or the Georgian Bay Symphony would be appreciated by the family.